(TORONTO) – Lexus Canada invites guests to discover why the IS series luxury sport sedan delivers performance, luxury and a driving experience as only Lexus can deliver – with a choice of four models for 2011, including an all-new IS 350 with all-wheel-drive for remarkable driving confidence and poise in all weather and road conditions. 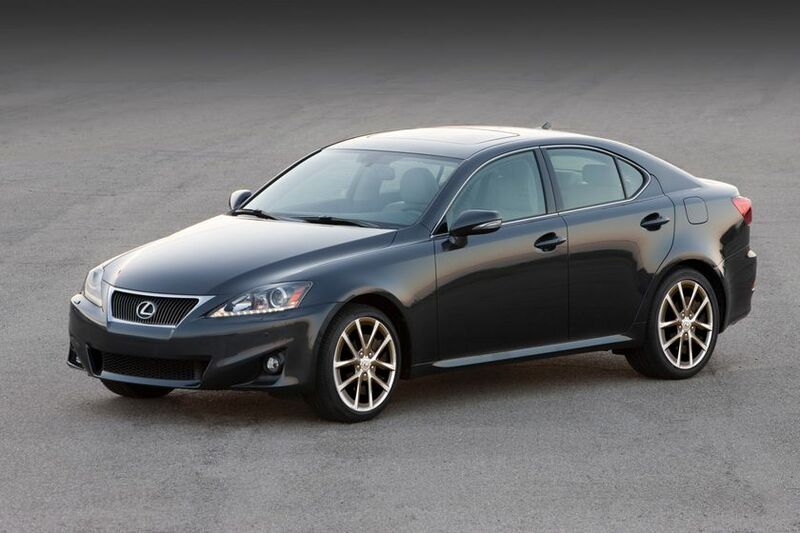 All new model for 2011: IS 350 AWD couples powerful 3.5L engine with the confidence of all-wheel-drive. Refreshed style for all models, with updated fog lamp and grille design, revised rear backup lamp and turn signal lamp appearance, new exhaust pipe tip, and more. The 2.5L V6 generates 204 peak horsepower and 185 lb-ft of torque. The 3.5L V6 produces 306 horsepower and a peak 277 lb-ft of torque. Features on both engines include: dual overhead cams, 24 valves, dual variable valve timing with intelligence, direct injection system, acoustic control induction system. Both engines sport a Tier 2, Bin 5 emissions rating. The IS 250 RWD features a six-speed manual, close ratio transmission with overdrive, or an available six-speed super ECT automatic with overdrive, sequential multi-mode shifter, and paddle shift controls. 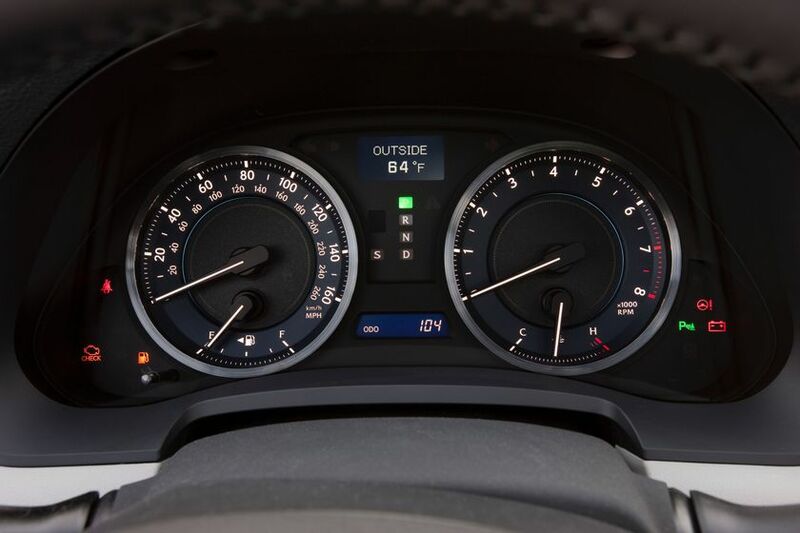 The Paddle Shift automatic transmission is standard on all other IS 250 and IS 350 models. All models feature anti-dive and anti-squat geometry on the double-wishbone front suspension, and a multi-link control arm rear suspension for enhanced driving dynamics. For sportier performance, RWD models are equipped with a limited slip differential. Both engine sizes now available in models with the confidence of all-wheel-drive. Highly responsive electric power steering, plus sport-tuned Vehicle Dynamics Integrated Management, Vehicle Stability Control and Traction Control technologies. Front and rear ventilated disc brakes are enhanced with the Lexus Anti-lock Braking System, Brake Assist and Electronic Brake force Distribution technologies. All-position three-point lap and shoulder belts, front and rear seatbelt pre-tensioners and force limiters, adjustable shoulder belt anchors for front row seats, plus anchor points for child protector seats, child protector rear door locks and an onboard first aid kit. The IS 250 RWD features: a Lexus Premium Audio system with six-disc CD changer, Bluetooth and XM Satellite Radio capability, auxiliary input jack and USB connection for portable music players, 13 speakers, and steering wheel-mounted audio controls; dual zone automatic climate control; a full suite of instrumentation, including multi-information display, tachometer, dual trip odometer, outside temperature gauge, and more; power windows with auto up/down function on all windows; a contemporary cabin with leather wrapped steering wheel, metallic shift knob, metallic dash accents, plenty of in-cabin storage, and finishing touches such as map lamps; sporty three-spoke steering wheel on a tilting/telescoping column; cruise control; the Lexus smart key system with push-button start and keyless entry with trunk release; anti-theft system; 17” aluminum alloy wheels; dual power remote exterior mirrors with integrated signal lamps; and more. 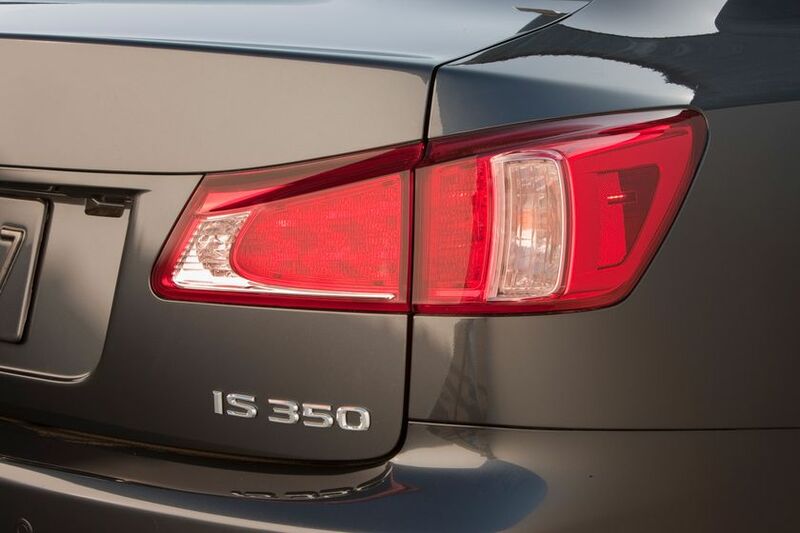 The IS 250 AWD delivers all-season driving confidence, plus optional comfort amenities, such as an eight-way power adjustable and heated driver and front passenger seats, and more. 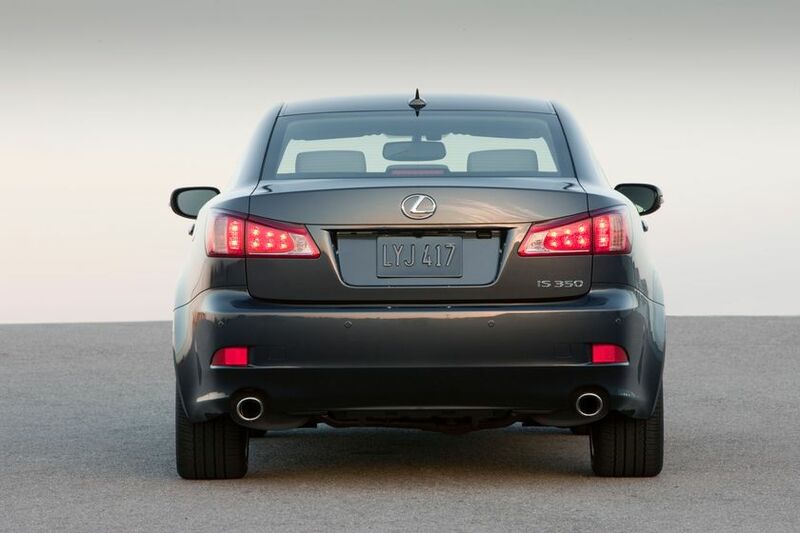 The IS 350 RWD benefits from additional power, plus numerous performance enhancements as standard for 2011. These include the IS-F steering wheel with paddle shifters; a sport-tuned suspension; 18-inch wheels; rear spoiler, a power tilt/telescoping steering wheel; aluminum sport pedals with rubber inserts; electrochromatic side view mirrors; rain sensing wipers; a hard-drive based navigation system with integrated back-up camera; a power moon roof; premium leather seat surfaces; and more. 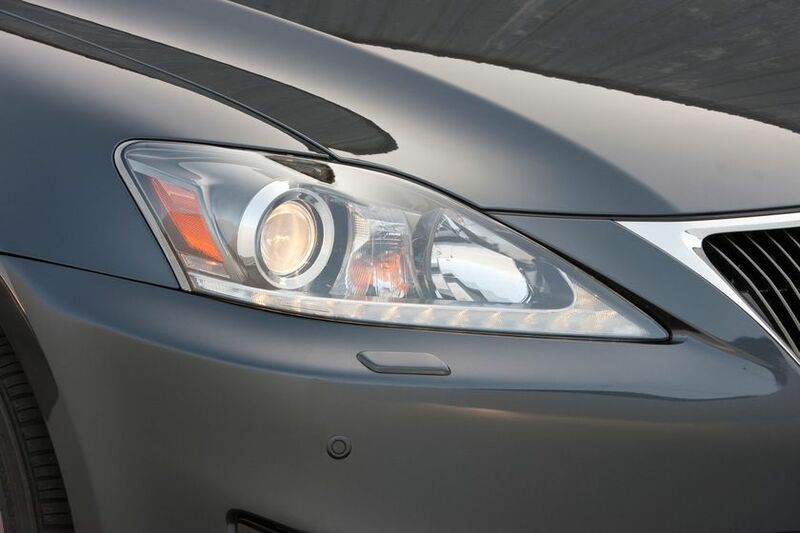 All-new for 2011, the IS 350 AWD enhances the powerful 3.5L engine with all-wheel-drive confidence, plus comfort and style features such as: leather seat surfaces; high-intensity discharge headlamps with headlamp washers; LED daytime running lights; and more. There’s plenty from which to choose when Canadians order an IS series. The Leather with Moon Roof Package, which can be added to automatic transmission models, adds eight-way power adjustable and heated front-row seats; leather seat surfaces throughout; and a power moon roof. Automatic transmission models may also be ordered with the F Sport Package, which features all of the above enhancements, plus: premium leather F-Sport seats; a hard drive based navigation system with integrated back-up camera; three-spoke IS-F steering wheel on power tilt/telescoping column; sporty styling upgrades including rear lip and front chin spoilers and a sport grille; rain sensing wipers; stainless steel F-Sport scuff plates; high intensity discharge headlamps; LED daytime running lights; and more. Manual transmission models may be ordered with the Sport Package, which features eight-way power adjustable and heated front-row seats; leather seat surfaces throughout; a power moon roof; a sport tuned suspension; larger, 18” aluminum alloy wheels; and aluminum sport pedals with rubber inserts. The Leather with Moonroof Package enhances the all-wheel-drive model with the same upgrades as the package available for the IS 250 RWD. Add the convenience of a hard drive based navigation system with backup camera, by ordering the Leather with Moonroof and Navigation Package. Take luxury to the limit with the Luxury with Navigation Package, which features the above, plus: Power tilt/telescoping steering column; ventilation fans on front seats; three setting driver’s seat memory system; premium leather seat surfaces; a wallet-sized smart card key; a power rear window sunshade; reverse auto-tilt exterior mirrors; rain sensing wipers; wood grain trim; high intensity discharge headlamps; LED daytime running lights; and more. 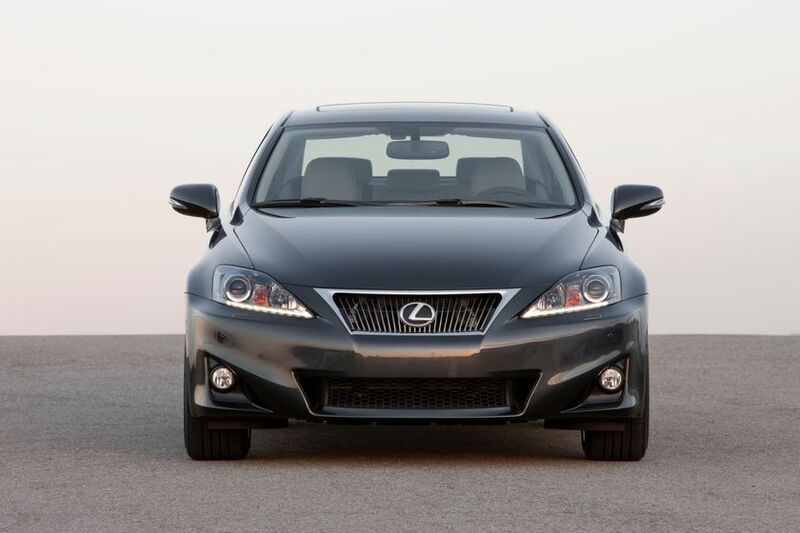 The IS 350 RWD comes fully-equipped for the 2011 model year exclusive with the F-Sport package. Add the convenience of a hard drive based navigation system with backup camera and the comfort and style of a power moon roof with the Moon Roof & Navigation Package. The Luxury with Navigation Package adds generous amenities, including: a power moon roof; hard drive based navigation system with backup camera; 14-speaker Mark Levinson Audio system; power tilt/telescoping steering column; ventilation fans on front row seats; premium leather seat surfaces; a wallet-sized smart card key; a power rear window sunshade; reverse auto-tilt exterior mirrors; rain sensing wipers; wood grain trim; front illuminated “Lexus” scuff plates; a clearance and backup sensor; and more. 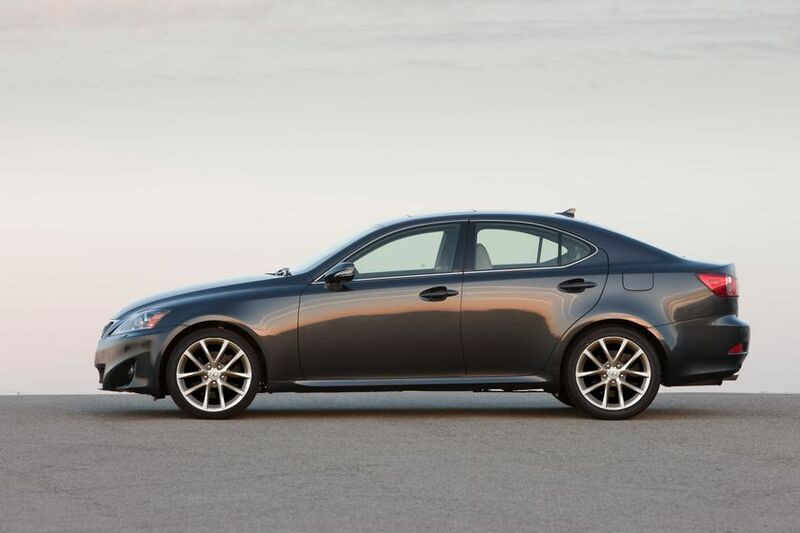 The 2011 Lexus IS series is now on sale at Lexus Dealers across Canada. 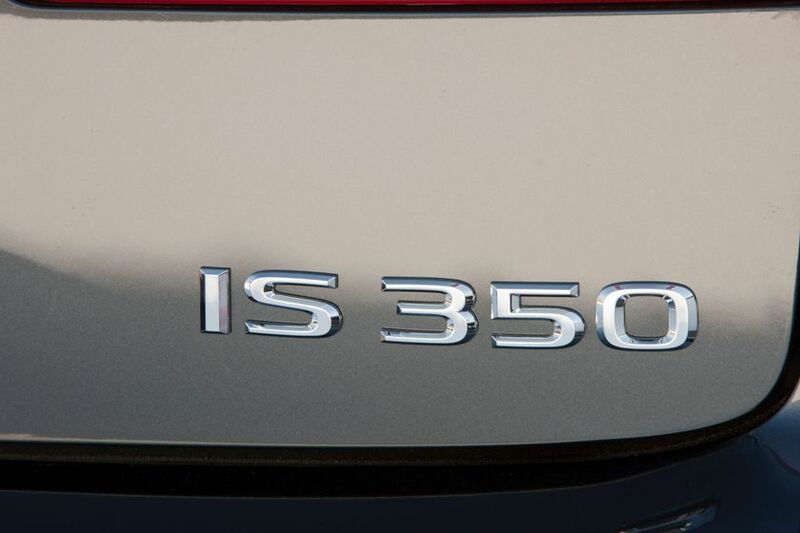 The IS 250 RWD carries a manufacturer’s suggested retail price starting at $32,900, while the MSRP starts at $38,000 for the IS 250 AWD. The suggested starting price for the IS 350 is $51,250 for the RWD model, and $44,950 for the AWD edition.